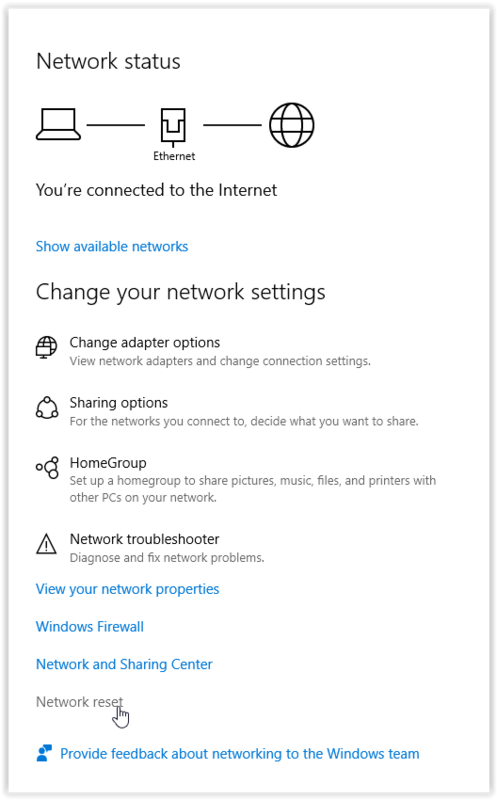 Network Reset can solve connection problems that might occur after upgrading versions or fix problems connecting to shared network drives. 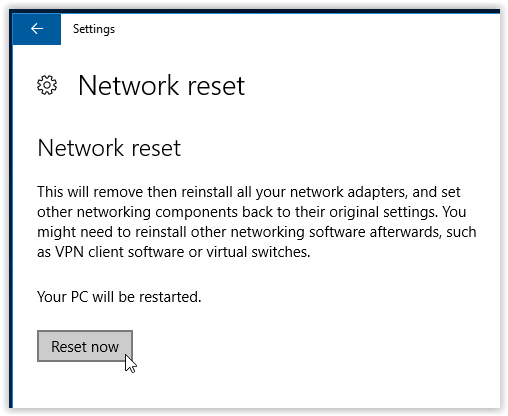 Reset removes all network adapters and adapter settings from your PC. 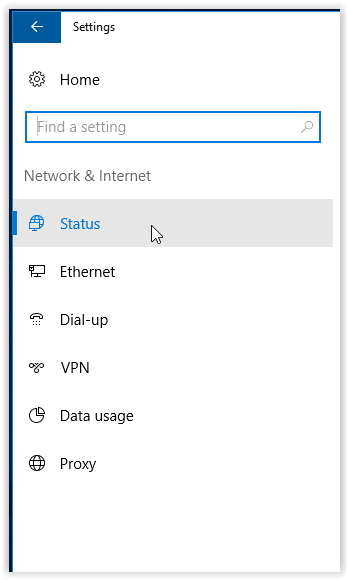 After you restart your computer, any network adapters are reinstalled, and the settings reenabled. NOTE: You must be running Windows 10 Version 1607. To see what version of Windows 10 you are operating, click Start | Settings | System | About. 1. Click the Start button in the bottom left corner of the screen, and click on Settings. 2. The Settings window should appear. Select Network & Internet. 3. Switch the Status tab on the menu on the left-hand side of the screen. 4. Next, click Network reset at the bottom of the screen. 5. To reset the network and restart the computer, click Reset now.